Recommendation: I Highly Recommended CFS Fire Protection, Inc.! They are our Go-To Fire Protection Service! 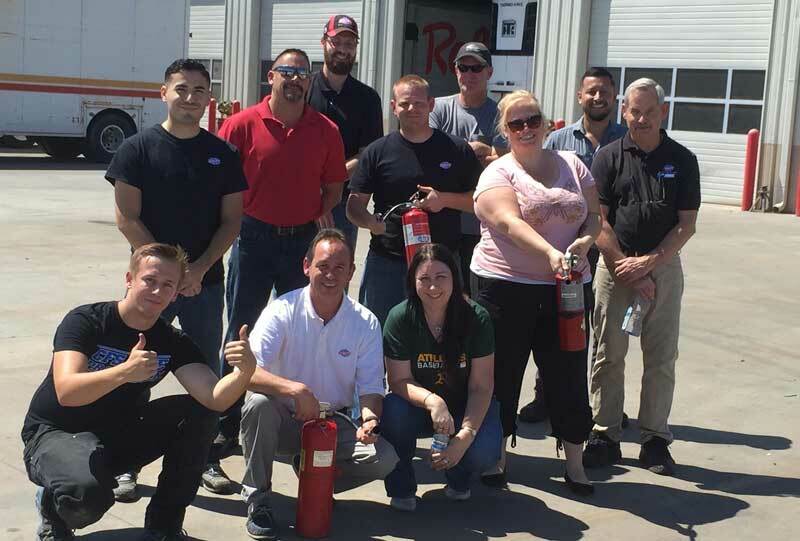 CFS Fire Protection, Inc. provided our staff Fire Extinguisher Training today and they really did a Great Job! They were very Professional and thorough answering all the questions we asked helping us understand what they were teaching us about correctly using Portable Fire Extinguishers. Each of our Departments had specific needs for the Training and they full-filled everything we asked of them. They also did our Fire Extinguisher Annual Inspection and Certification Service refilling and recharging our Fire Extinguishers that need it. I Highly Recommended CFS Fire Protection, Inc.! They are our Go-To Fire Protection Service! If your Business is located in Lathrop California and You Need Professional Fire Code Protection, Inspection & Certification Services, Give Us a Call (866) 584-3473. We have all the Fire Protection Services Your Lathrop Business Needs to Get and Stay Fire Code Compliant!